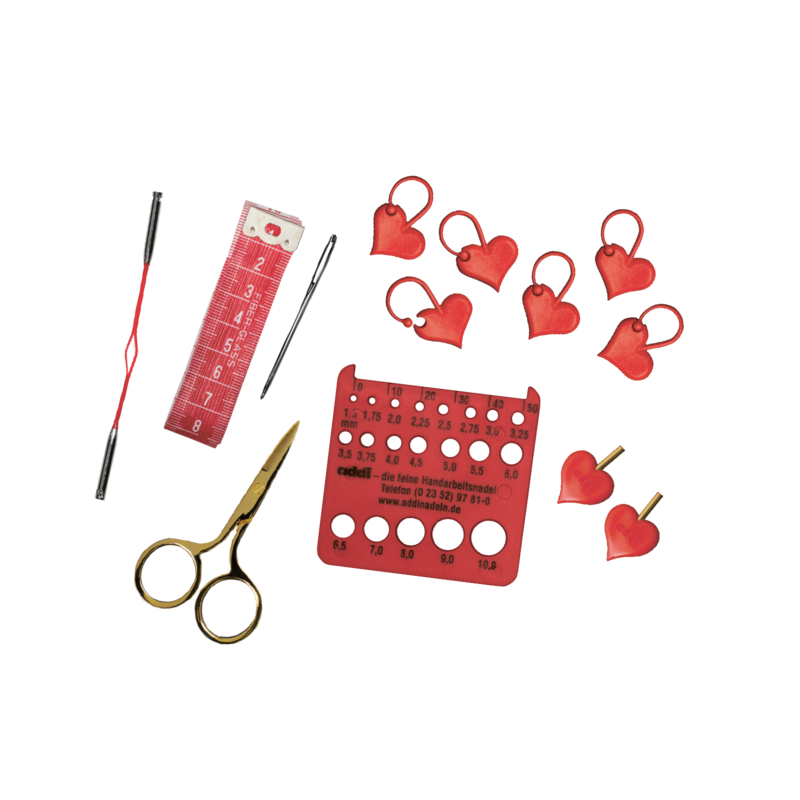 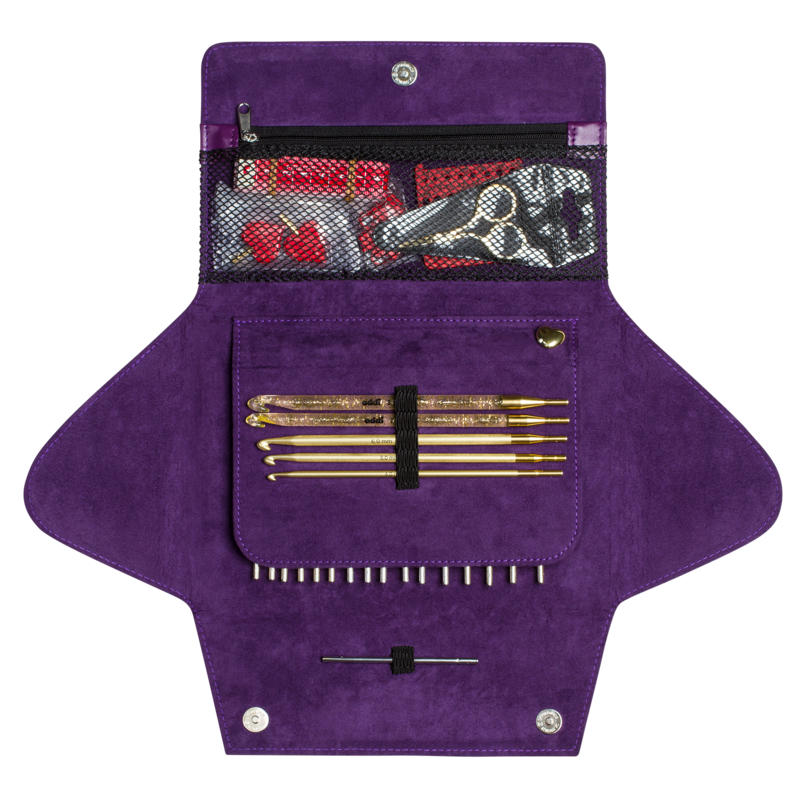 The new addiClick by Woolly Hugs in the purple case is a comprehensive interchangeable set of knitting needles and crochet hooks that will make any craft lover's heart beat faster! 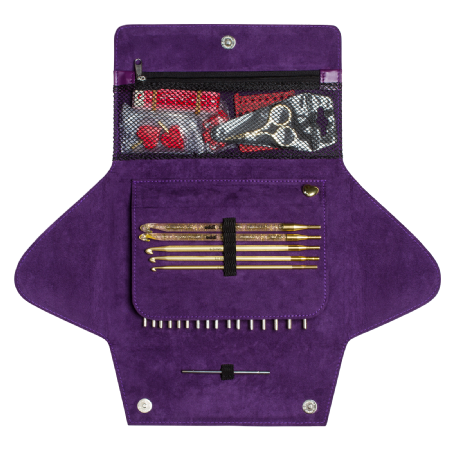 Developed in co-operation with craft expert Veronika Hug from "Woolly Hugs", the set comprises an extensive selection of original addi accessories as well as a large range of needles (all with a smooth and shiny white bronze finish) and crochet hooks in a range of sizes - it's like being let loose in a sweetie shop!. 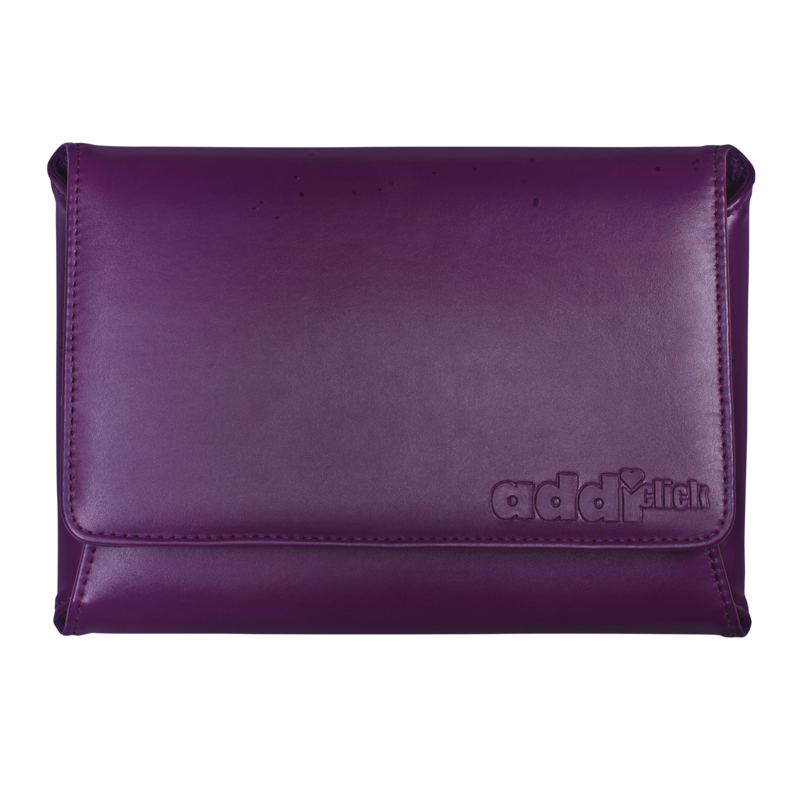 All addiClick products are compatible.